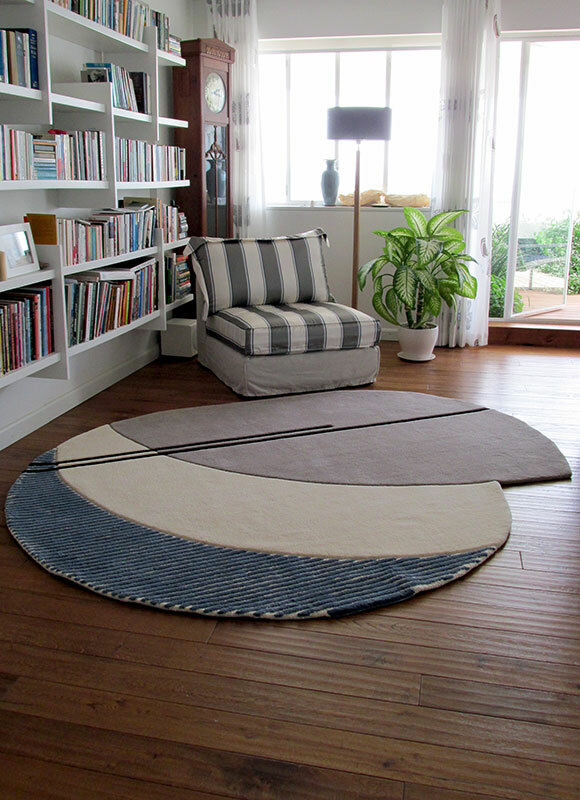 Clearly, these two rugs – the oblong one and the asymmetric rounded one -- are designed to be seen together. The color scheme and especially the thin black line in both rugs connect the two designs. 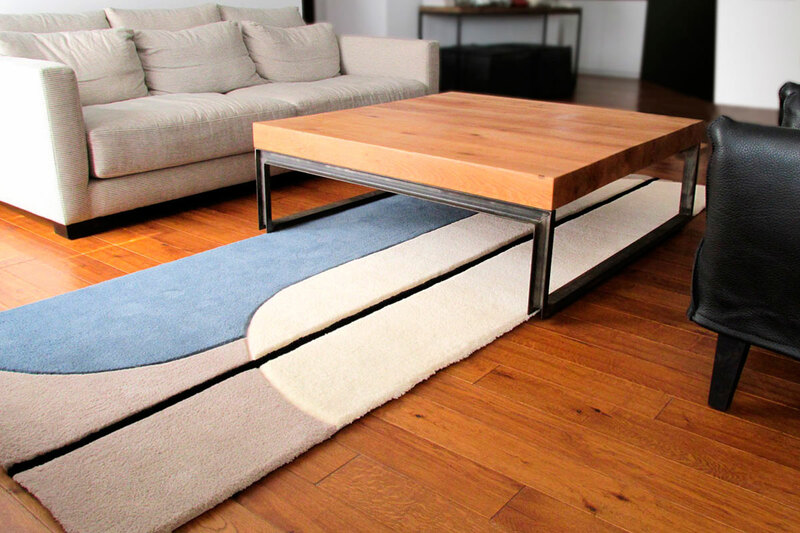 The elongated, rectangular rug is designed and tufted to run under the table. 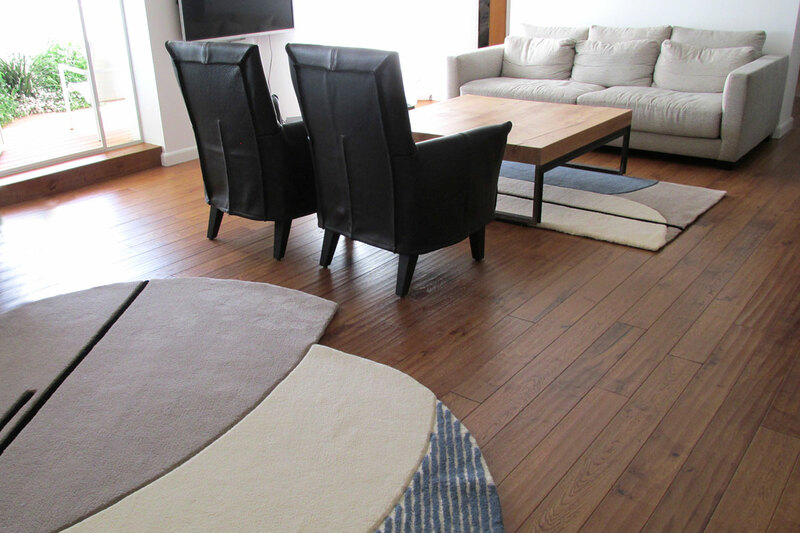 Because nothing is plain “standard” when we design your rug!